This reading group guide for Grand Pursuit includes an introduction, discussion questions, ideas for enhancing your book club, and a Q&A with author Sylvia Nasar. The suggested questions are intended to help your reading group find new and interesting angles and topics for your discussion. We hope that these ideas will enrich your conversation and increase your enjoyment of the book. Here is the sweeping story of extraordinary men and women who, under dramatic and varied circumstances, helped humanity escape the blind and brutal past and seize control of its material fate. In London, New York, Vienna, Cairo, and Calcutta, these thinkers looked for tools that not only let them decipher the world outside their windows but to transform it. They turned the dismal science into a cheerful one and fostered a revolution in human thinking that changed the lives of everyone on the globe. Grand Pursuit begins in Victorian London with someone whose name is synonymous with imagination, the novelist Charles Dickens. He is soon joined by a journalist, Henry Mayhew; the wayward son of a textile baron, Friedrich Engels; a beautiful heiress determined to live a meaningful life, Beatrice Webb; the American inventor of the Rolodex, Irving Fisher; a speculator who collected Impressionist paintings, the genius John Maynard Keynes; Milton Friedman, a boy who grew up over a store but daydreamed of being the hero of an F. Scott Fitzgerald novel; Paul Samuelson, who wrote the textbook for American schoolchildren; and Amartya Sen, Joan Robinson’s protégé who surpassed his mentors and won a Nobel. For them, the point of modern economics was not only to understand how the modern world worked, but how to make it better. 1. Karl Marx’s name is used as a banner for a wide-ranging political and economic movement, with modern collectivism harkening back to his works. Discuss Marx’s importance to Socialist dogma, considering his co-authoring of The Manifesto with Engels, his long period of literary stagnation leading to the well-timed Das Kapital, and the fact that he never visited a factory employed by the industrial servants he so fervently tried to advocate. How important is first-hand witness to creating solutions/suggestions for the plight of a specific class? Discuss how this relates to modern politics legislating for the “good” of the middle classes. 2. Do you agree with Alfred Marshall’s early ideas that the yeoman can transform his material circumstances and economically ascend? Consider his own Pip-like transformation into a Cambridge heavyweight. Further, how important is education in gaining more civic freedom? In what ways are his ideas being applied today? 3. Beatrice Webb’s Minority Report was a revolutionary edict on the notion of a welfare state and the government’s responsibility to “secure a national minimum of civilized life.” Compare her views to Malthus’s objections of “rewarding the idle at the expense of the industrious.” How do these opposing arguments relate to present partisan disagreements? Consider too Webb’s East End days. Is there some present correlation for Webb’s (and Henry Mayhew’s) excursions into the reality of destitution? 4. How do you interpret Keynes’s oft-misquoted maxim, “In the long term we are all dead”? 5. Compare Amartya Sen’s efforts with that of the Webbs. How do their concerns with welfare and poverty align? Do you think their respective backgrounds make them especially fit to voice these societal concerns? Furthermore, who is the perfect representative for the struggling classes? 6. Is the science of Eugenics (as espoused by Fischer and others in the 20’s boom) antithetical to “Darwinian” economic systems and the ideas of improvability? How can we translate this in modern “melting pot” culture? 7. Discuss Irving Fischer’s “three dimensional” models of his theories, from the hydraulic machine to indexing his office employees’ (at Remington Rand) pay to inflation during wartime. While both are successful models of fundamental ideas, why do you think a man with such amazing insight could be blind to the war, post-war Depression, and the inherent volatility of the market? 8. Compare the post-war ideas of Keynes with those of Schumpeter and Hayek. Where do they differ on government regulation? Where do they differ on the free market? Consider their personal circumstances in relation to their platforms (i.e. the failed negotiations at Versailles, the moral destruction of Vienna, etc.). 9. How does the “ingenious mechanism” look to you today? Have our engines of analysis become more efficient? 10. Despite countless recessions, crashes, and crises, production and living standards are at unthinkable levels when compared to early Victorian London. How do you account for this? Do you agree with Marx, that these slumps are inherent and will destroy the economy? Do you agree with Marshall that external factors are to blame? Or do you side with Schumpeter, who views growth as the product of spurts of innovation in a system largely separated from outside factors and intrinsically sound? 11. How are Schumpeter’s ideas on entrepreneurship and “incessant innovation” informing today’s markets? Consider the technological sector’s impact on how we live our lives and the corporate push for acquisitions of “tech start ups.” How does change and the evolution of business play into this? 12. Given current climes, how far are we from the Malthusian view that the “blind and brutal past” is destined to keep repeating itself? 13. Do you agree with Amartya Sen that famines are man-made phenomena, the result of rising food prices (despite adequate food supplies), and the failure of government to intervene? Compare this with the Malthusian view of overpopulation and rising prices related to too many people contending for a static amount. Who or what is ultimately to blame when people starve? 14. Discuss Paul Samuelson’s myriad of contributions to our understanding of modern economics. Consider especially “economics as a whole” and the application of math to the links in our economy. Is mathematics more essential than ethical/philosophical considerations? Consider too his “neo-classical synthesis” and its emphasis on maintaining employment to guarantee national savings. How does this relate to the partisan hot topic of “job creation”? 1. Read Sylvia Nasar’s Nobel Prize-winning book A Beautiful Mind. How does her account of the genius John Forbes Nash compare with her portraits of early twentieth century economic dynamos? In what ways is Forbes’s mathematical genius similar to the forward-thinking work of the characters in Grand Pursuit? 2. Who are the great economic thinkers of today? (Those, as Ms. Nasar puts it, with “cool heads and warms hearts.”) How do their theories and policies reflect the groundwork laid by Marshall, Fischer, Webb, Schumpeter, Keynes, and their intellectual descendants? 3. List and share your proposals for a new economic or monetary system. How do your ideas address the disparity in living standards? Do they support a free market or heavy regulation? Does your system provide welfare and equality? 4. As Fischer once did, attempt to create a 3-D model that represents an economic (or other) idea you have. How does seeing something solid relate to theory? Does a view of your thoughts in corporeal motion change your initial idea? Who would you consider the individuals with "cool heads and warm hearts" in today's economic landscape? Besides John Nash? I couldn’t begin to name them all. Kenneth Arrow, who is probably the most revered economist alive, would be at the top of my list. Look at the recent nobels: Elinor Ostrom, Tom Schelling. Daniel Kahneman, Amartya Sen, Joe Stiglitz, Vernon Smith, Bob Merton, Doug North, Bob Fogel, Gary Becker. Look at the Clark medal winners: Susan Athey, Steve Levitt, Daron Acemoglu. The behavioral economists like Richard Thaler and Al Roth. All these people have made amazing contributions. Of course, we can’t know yet what practical impact their ideas will have. Considering your position as professor of journalism at Columbia (combined with your keen insight into economic history), how important is reportage and journalism to economics? Are they closely tied? As the vignettes about Charles Dickens, Henry Mayhew, and Beatrice Webb show, economics and journalism have gone hand in hand. No surprise there since so much of politics is about economics, and the mass media are a way to reach people. But it’s not the only way. Universities … Which is why Samuelson said he’d rather write the economics texts than the Keynes made his living, Fisher published a weekly column, Friedman and Samuelson had dueling columns in Newsweek. Along those same lines, the "mechanism" of economics has, from a layman's view, grown exceedingly complex in modernity. Is it possible for an average citizen to actually understand the market? How would you suggest they try to wrap their heads around it? Of course! You need a lot of sophisticated tools if you’re going to advance the boundaries of the field, but if the rest of us truly grasped the ideas in econ 101, we’d make better decisions. 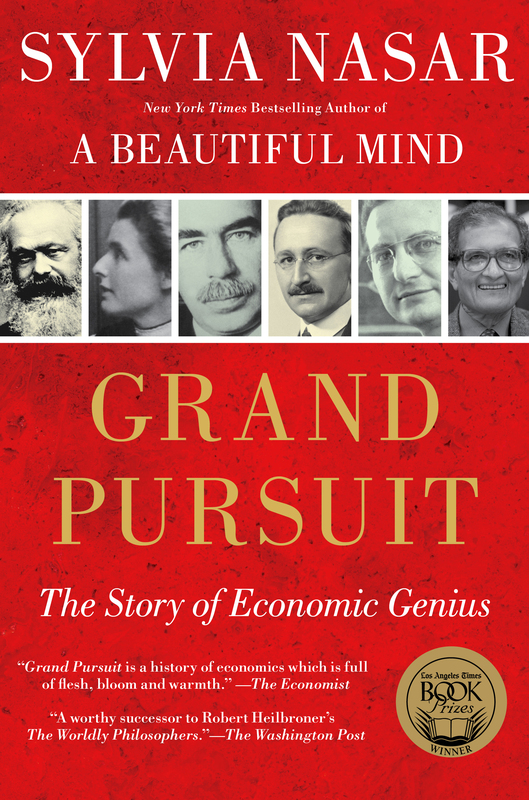 Whom do you consider the most important economic thinkers of the past 100 years? Irving Fisher and Maynard Keynes. How do you interpret Schumpeter's ideas on incessant innovation and "creative destruction"? Is it significant that Apple, essentially a media and tech company, is one of (if not the) most valuable entities in the world? How do you see technological booms/bursts informing our future economies? To do something new in an economy that’s employing all of its resources, you have to do less of something you’re already doing. As you seem to be suggesting, there’s no sign that the pace of invention and innovation is slowing. In fact, in the industries I’m involved in—newspapers, book publishing, media—people complain that it’s happening so fast they feel a little…well, old and out of it. How hard or easy is it for one to transform their material conditions today? How does ascendant possibility compare to those early Marshallian transformative years in London? Consider China. They’ve covered as much ground in a single generation as the world did in a century. There are two ways to transform material circumstances. One is to produce a rising economic tide that lifts most boats. The other is to have a lot of mobility for individuals. The tide has been rising incredibly fast in the last thirty years or so. And barriers—whether to borrowing money, getting an education, landing a job— that kept large segments of the population on the sidelines and encouraged local monopolies have definitely fewer. For heaven’s sake, when Marshall turned to economics, we had only just outlawed slavery in the US. Describe your research process for this book. How did you become better acquainted with these dynamos of economics? I spent a lot of time in archives reading the letters of Friedrich Hayek, Maynard Keynes, Joan Robinson, et al. I followed Amartya Sen around India. I visited the Friedmans in San Francisco. I got together with Paul Samuelson in Florida. I spent time imbibing the atmosphere in London, Vienna, Berlin, and Cambridge. The most time consuming, difficult part was figuring out how to turn it into a story. Given the dismal state of the current economy, do you view our future as an inevitable outcome presaged by early economic thinkers (like Marx), or is this a slump preceding a spurt of innovation, change, and growth? If nothing else, we’ve learned that nothing’s inevitable. Nations make their own destinies. What all successful economies share: a stable, business-friendly environment. You need to distinguish between short-run fluctuations in economic activity, i.e. recessions and long-run economic stagnation. Recessions are inherently unfair, a huge waste, and extremely painful for those who lose their jobs or businesses, but they are temporary setbacks. But failure to raise productivity and living standards is deadly. In a low-wage economy where the bottom nineteenths is merely subsisting, even a mild downturn or a spurt of price inflation causes a jump in death rates. The Great Recession was the worst slump since the Great Depression. But the Great Depression was five times as bad and lasted five times longer. And don’t forget, the average American’s income and assets were ten times higher going into the 2008-9 recession, and government provided extensive relief in the form of unemployment benefits, food stamps, Medicaid, etc. that didn’t exist in 1929. Obviously the economy’s still not in great shape, but I wouldn’t call it dismal. For one thing, GDP is expanding. Unemployment is inching down. Productivity is rising very fast, which means that once spending picks up so will hiring and pay. Despite unprecedented levels of wealth and living standards, have we achieved a palatable national minimum of civilized life? Of course we have. Look around at how people actually live. Absolute deprivation has disappeared in most of the world. Having the material means is a necessary but not sufficient condition for actually achieving a civilized life. We have way too many people in prison, people on disability, people who are undereducated, people with mental illnesses who are shut out of the job market. We can do better. How do you feel about advertisements? They at once seem to promote investment in our own economy, and yet one can't deny that they carry a stigma of "brainwashing" unknowing consumers, who themselves carry a stigma of buying on credit things that are beyond their means. Has mass media done more to hurt or help the proletariat and their ability to rise? You’re asking a former newspaper reporter? Of course I love ads and wish The New York Times got more of them. As for blaming advertising for the American consumer’s low savings rate…don’t they have advertising in Japan, too? 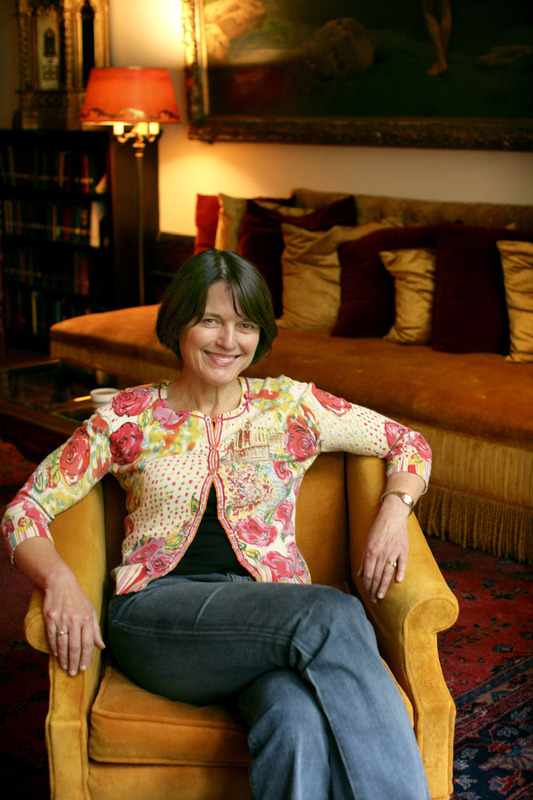 Sylvia Nasar is the author of the bestselling A Beautiful Mind, which won the National Book Critics Circle Award for biography. She is the John S. and James. L Knight Professor at the Columbia Graduate School of Journalism.